For decades Les Woodland has been researching and writing about cycle history, especially about the Tour de France. Along the way he's taken pictures of places that figure largely in racing history. Down the right side of this page are links to Les Woodland's most popular books. 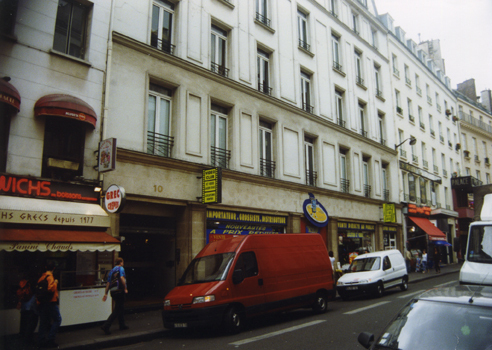 12 avenue Bugeaud, Paris - where riders gathered (and panicked) before the start of Paris- Rouen, the world's first big town-to-town race. The race was held November 7, 1869 and was won by Englishman James Moore, who rode the 123 kilometers in 10 hours and 45 minutes. 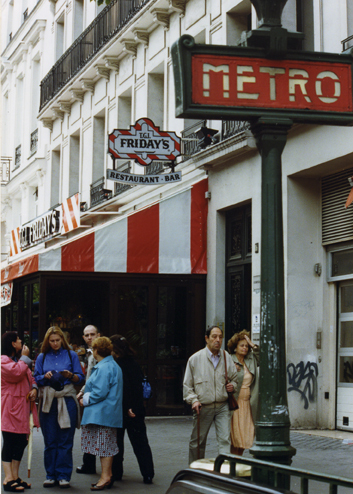 Paris, 1903: It's TGI Friday's now, but way back when, it was Taverne Zimmer, where Tour father Henri Desgrange took his rugby and cycling writer Géo Lefèvre to lunch and said, "Tell me about this Tour de France idea of yours." Nobody know just what table they sat at, but the cafe has a small tribute to that day. It was here, in a village outside Paris in 1903 that the first Tour de France of all started. Why not in Paris itself. Because the city wouldn't allow anything so riotous as racing on the road. 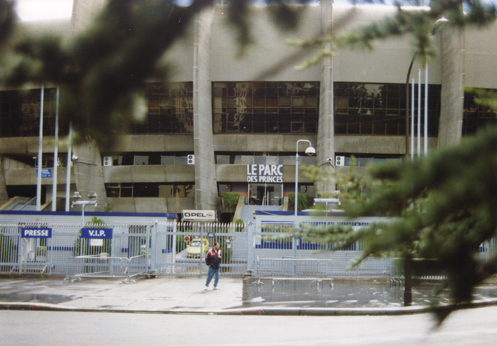 Under this soulless, concrete heap rest the last remains of the original Parc de Princes, the stadium where for decades the riders of the Tour de France turned their pedals for the last time. 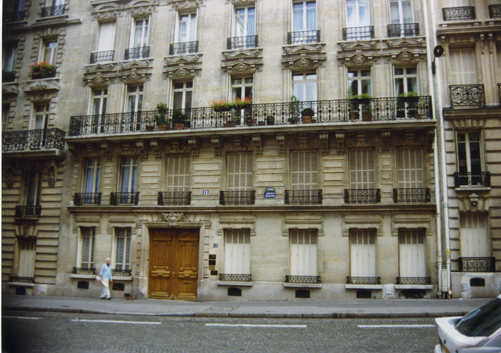 The building that housed the first Tour de France offices. 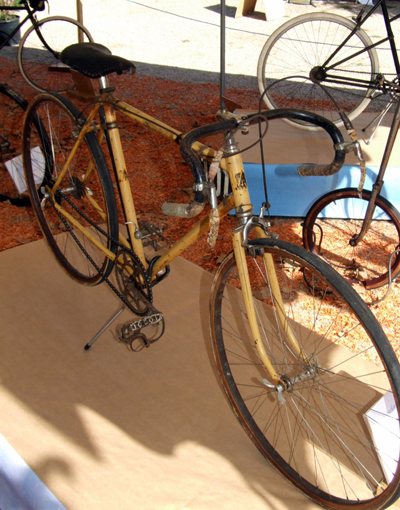 In 1930 the Tour insisted not only that riders compete for their countries but, to spite the factories it thought were corrupting the race, that they ride on identical yellow bikes. This is one of the few that survive. Note that the rear hub is double-sided with a couple of cogs on each side. If the rider wanted to change gears he would have to loosen the rear wheel and either put the chain on a different cog or flip the wheel around. 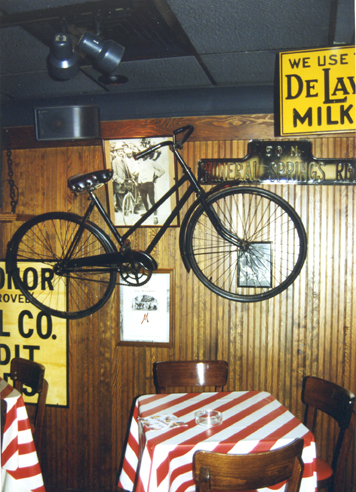 Derailleurs weren't allowed in the Tour until 1937. 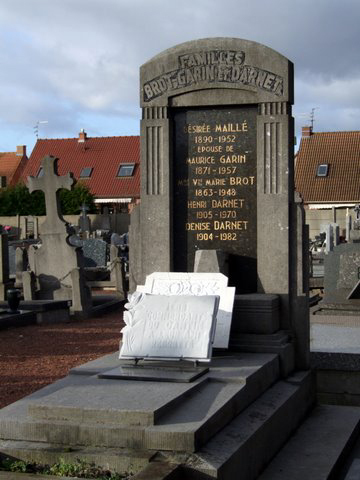 In block F3 of the cemetery between Lens and Sallaumines is where Maurice Garin lies. It's because the names on the tomb are of the wives rather than the husband that the cemetery caretakers didn't know for years that the winner of the first Tour de France was among their silent neighbours.